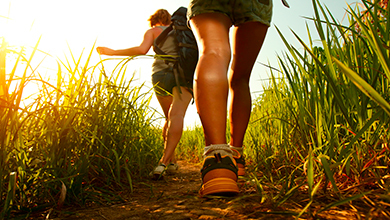 Layside is positioned in one of the most beautiful locations in the North of England, with many activities for visitors to enjoy, no matter what your fitness level. 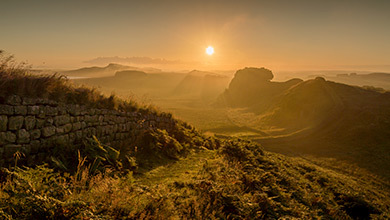 There is a very good reason why Hadrian’s Wall was recently featured in The Guardian’s hot list of places to visit in 2017 – Where to go on holiday in 2017: the hot list. Majestically covering almost 80 miles coast-to-coast, what remains of the mighty Hadrian’s Wall provides visitors with a visual monument of engineering excellence. 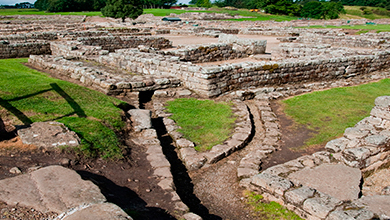 There are so many areas to explore and experience, with forts, milecastles and barracks to conquer. Visitors who come to Hadrian’s Wall never forget its drama, history and beauty. 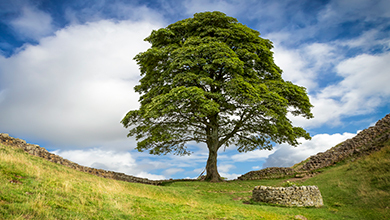 The Sycamore Gap tree is one of the most photographed trees in the country, and for very good reasons. Standing in a dramatic dip alongside Hadrian’s Wall and clearly visible from Layside, it was voted English Tree of the Year 2016 in the Woodland Trust’s awards, and has played a starring role alongside Kevin Costner in the blockbuster movie of 1991 – Robin Hood Prince of Thieves. 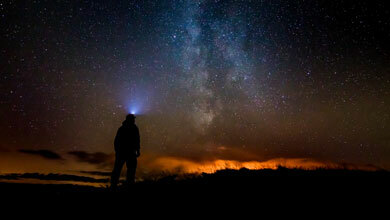 Northumberland International Dark Sky Park covers 572 square miles and is Europe’s largest area of protected night sky. On a clear night, you can see millions of stars with your naked eye, including the Milky Way. There is always something different to see, from meteor showers to the Northern lights. Nearby Cawfields is a designated Dark Skies Discovery Site. Vindolanda, just a short walk from Layside, is one of Europe’s most important Roman archaeological sites, comprising of at least 8 forts of which several were thought to be occupied before Hadrian’s Wall was built. A visible stone fort dates to the early third century, with fort walls, the headquarters building and the commander’s house all preserved and ready to explore, as well as a civil settlement located close by. An on-site museum showcases many of the objects found during excavations, including a collection of leather and wooden objects and the soldiers’ writing tablets that provide an amazing record of everyday life in the Roman Empire. Next door to Layside is The National Landscape Discovery Centre, otherwise known as The Sill, Northumberland National Park’s new visitor centre, opened in 2017. 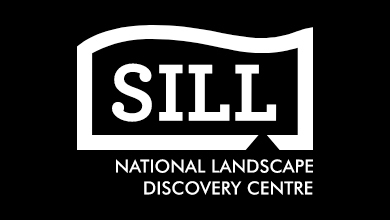 Designed to excite and inspire people of all ages to explore the landscape, history, culture and heritage of Northumberland, the Sill is well worth a visit. With exhibitions and events all year round, visitors to the Sill can also enjoy refreshments at the local food café and a shop specialising in local crafts and produce. 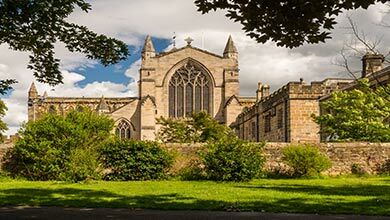 The picturesque market town of Hexham lies just a few miles away from Layside. It has a huge amount to offer including the stunning Hexham Abbey, cobbled shop-lined streets and bustling market place, as well as galleries and art centres, the Old Gaol, a theatre and a cinema and so much more. 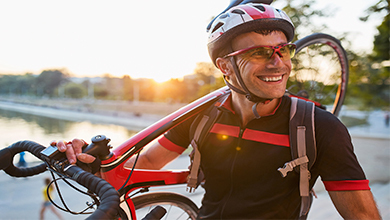 Hadrian’s Wall Cycleway stretches for 174 miles between Ravenglass and Tyneside, 33 miles of which runs through Northumberland and touches some of the most stunning sections of Hadrian’s Wall. The challenging route passes the door of Layside, so we’re ideally placed for tired cyclists. Secure bike storage is also available here. Please see our T&C’s for more details. 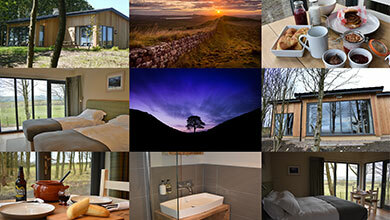 From the comfort of Layside, you can make the most of the fresh, breathtakingly beautiful wilds of Northumberland! 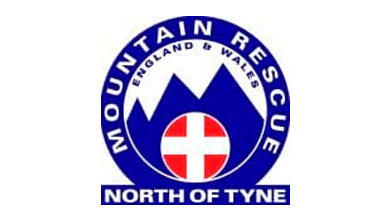 You can enjoy walking Hadrian’s Wall and the stunning surrounding countryside at your own leisure, or you can join North East Guides on a guided walk called the Housesteads Circular, which begins and ends at nearby Steel Rigg, taking in Housesteads Fort, parts of the Pennine Way, and Greenlee Lough Nature Reserve. There are many reasons why the Northumberland Coastline was voted Holiday Destination of the Year in the BBC Countryfile Magazine Awards 2017. 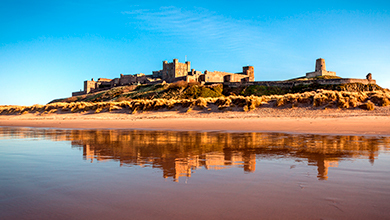 Gorgeous beaches, magnificent castles, splendid seaside towns and quaint fishing villages, there is something for everyone here in Northumberland. Gift vouchers are now available, and are valid for 12 months from the date of purchase. Please contact us for more information at info@layside.com, or call us on 07740 312176. 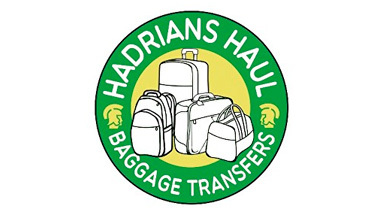 We recommend Hadrian’s Haul for all your baggage transfer needs! This service runs from February through to the end of October and will pick up and drop off your baggage at all accommodations along the 84 mile Hadrian’s Wall Path.